Sorry for the delay, there have been a few other blog posts that have taken precedence this week and still a few more that have been put on hold! Anyways, what are you? An innie or an outie? You can be a bit of both if you like, let me explain. I love Teachmeet, I’ve presented a Teachmeet and I’ve ran a Teachmeet. But the one I went to last week was different. it was a Teachmeet Fishbowl. This involves 3/4 teachers sitting around a table, with others sitting around the outside listening to their conversation. Sometimes there is a spare chair so a lurker/outie person can jump into the bowl and join in the conversation. This could be for one point or question or it could be for 15 minutes. You choose, you decide on your level of participation. So, Teachmeet Fishbowl in Oxford last week attracted 40-50 teachers, advisors and others to a gorgeous hotel. Once there we sat and watched a demo fishbowl. The focus is on planning for the use of ICT. How do you do it? What happens in the thought process? What is good planning? Have you EVER been taught actually how to plan? It is always interesting to see how people do it. Fishbowl gives you a chance to listen to the thought process, the decisions and the conversations as people plan their topic. The example topic was based on using the Wii in the classroom as part of a settlement topic. Occasionaly people jumped in with ideas, but in front of a large audience, some people were hesitant. So, off to our bowls. Our first project was a plan on Tudors that was perfectly OK. Not brilliant, whizzy, amazing, but OK. It didn’t contain tech it just contained a list of things to cover. We then set about planning some activities and adding podcasts/skyping with ‘Tudor characters’, we talked about using Zooburst or MyEbook to create a resource about Henry and his wives and using Google Maps to trace the journey of the Armada. Great, exciting woooo. Then the organisers throw in complications such as the school only having 1 ict suite or you only get 1 hour ICT a week. Now what? Most people seemed thrown by this lack of ICT. I train teachers on a daily basis and they constantly say about the lack of ICT or 16 computers in their suite or old machines that don’t keep up. 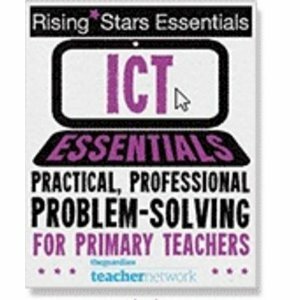 How would they use ICT? After planning our topic, we came back, fed back our thoughts and repeated the process. Was it useful? Yes. It’s always good to see how people plan and go about their daily business as a teacher. It’s easy to froget that a even if a teacher has been qualified for 2, 3 or even 5/6 years, they are still learning, they could still do with some training, some enthusiasm and a push from time-to-time. I love this idea – thanks for sharing Ian. I can see so mnay uses in staff meetings and in fact in my year 6 classrom.